But getting there. More stuff I didn't want I donated today. And I've begun forwarding my mail. Today is the last day of the month. When I posted on Sunday, I wasn't sure how often I'd get on the blog this week. But I've done a post everyday for the last days of this month :-) Some were pretty brief, however. I just wasn't sure how much time I would have for this during this week. I guess you can say I'm a book hoarder. I have so many I've bought (mostly from thrift stores) that I have yet to read. And yet I'm always borrowing library books, though I haven't borrowed any for almost three weeks now. I've been trying to read from my stacks for a while, but intend to borrow again, to save money and to find books I don't have at home that I need for my book challenges. Also, I had some boxes of books I'd already read. I didn't know what I should do with these. But I knew I need to get rid of them, and didn't want to overwhelm anyone donation source. So yesterday I took some of the books to a local thrift store run by the county hospital, along with other stuff I planned to donate that I didn't want or need anymore. Then I donated some of the books to the library that same day. And today I took some to the mental health center where I work. My boss liked that I had done this and then began to make room on the bookshelf by getting rid of some of the books already there (taking them to the library). I also took some of the paperbacks that someone had brought to the center, even though I already have many I haven't read yet! But one was a duplicate, so it had to go. But it's not just the books I've been donating. Today I took some other things I decided I no longer needed or wanted and will do the same tomorrow. And today my mom and I rented a storage space for some of the stuff I won't have room for. Sometimes you just don't know how much stuff you've acquired until it comes time to move. And then you see stuff you didn't know you had or forgot you had. This is how it's been with me. I already have a box of donations, but need to take it today. It's a TV box and is getting a little heavy. So I have to start another. And some stuff I'm just not sure about yet. I'm up early today to get ready for work, so I thought I'd make a quick blog today. Since I'm in the process of moving, I wasn't sure how many posts I'd be getting done this week. But I must confess I've only made a dent in getting things packed. Anyone who's had to move can tell you how hard this can be. It's amazing how much stuff one can acquire in any number of year. It's easy to forget you have some things and then wonder what you'll do with it and if you should take it with you. I've started a box of stuff I've decided not to keep to be donated to one of our neighborhood thrift stores. Some stuff I'm not sure about and will keep in storage. From my current residence. This is as much as I want to say for right now, as there is a lot of work to do. So if you don't see any blogposts from me during the rest of this this week, you'll know why. I have not had time to work on my writing and just now came up with my lesson plan for my class tomorrow. Changes are hard and this is another I'm facing this year. Quiz; What Color Peep Are You? You have a restless spirit, and it keeps you curious about the world. Everything is up in the air for you. You just go where the wind takes you. You need to understand what's going on with someone before you can truly empathize with them. I saw (and shared) this on Facebook a while ago and saw it again just today. This is definitely me. 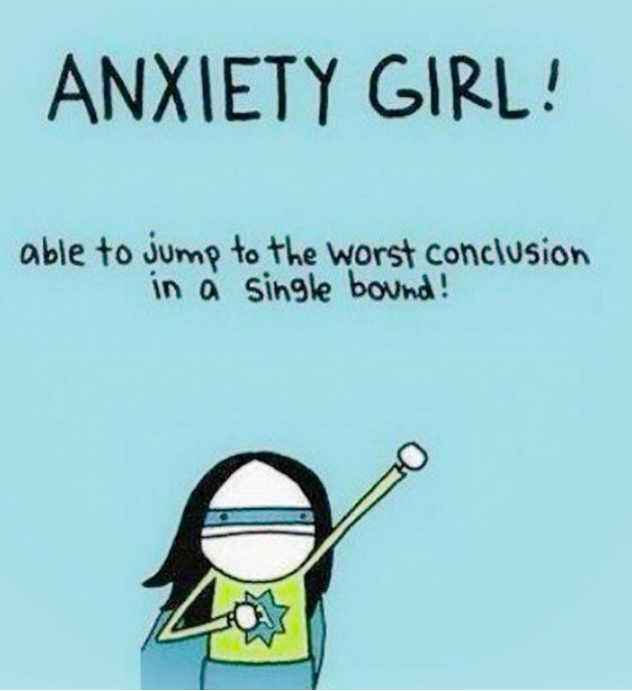 Yeah, I've had many cases of anxiety. One reason I've been on Prozac, along with depression. I've often worried about things would turn out, often thinking they wouldn't be as I'd hoped. But most often, they worked out just fine. Too many things to mention and some are too hard to even begin to describe. Are you prone to anxiety? And how many of you are familiar with the term ringxiety? I blogged about a while ago, and recently posted on Facebook asking if anyone has had it. One girl asked what it is, and when I pointed out what it is (thinking your cell phone is ringing or vibrating when it's actually not doing so), a guy replied "I thought it was an anxious woman wanting to be married." As you can see in the linked post, I only learned about it a few months ago, confessing to my psychiatrist how I'd kept thinking my phone was ringing when it wasn't doing so. I thought I was going crazy, but the doctor said it's common and even he does it with his phone. No surprise that this is a common condition, given how cell phones have become increasingly part of every day life. I've been having it it a lot since I confessed this to my doctor. 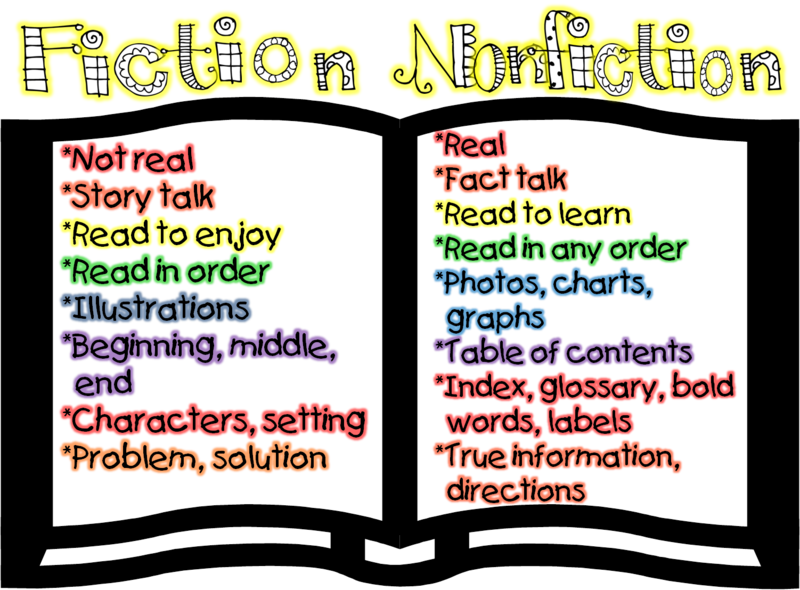 Are You More Inspired by Fiction or Nonfiction? In my post on Tuesday I asked if reading someone's memoir made you want to write your own, as it has done to me recently. 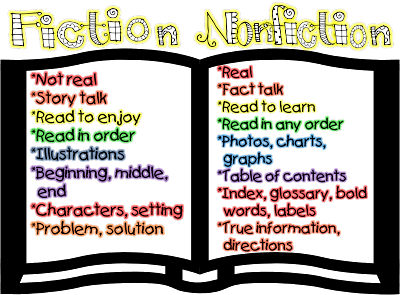 But if reading memoirs aren't what made you want to write, the question today is: Are you more inspired by fiction or nonfiction (all kinds)? I must admit I still seeing what I'm working on as becoming memoir, even though I've wanted to write years ago from reading mostly fiction. I've only recently gotten into read nonfiction more than in the past, and it was a memoir that just happened to trigger my desire to write even more after not doing so for some time. How did you react? Did you find it thought-provoking? You may already know (if you've been reading my blog in the last two months) that this is how I felt about Prozac Nation. Did reading another person's memoir make you want to write your own? Is it right to be inspired that way? Does this happen often? For that matter, have you ever found anything (any genre) you've read to be thought-provoking enough to make you tell your own story? Do authors really get influenced this way? Quiz: What is Your Productivity Style? I think I agree wit this somewhat. he image below looks a bit like what my computer desk looks like at present. And I don't always have a plan for when I'll be doing my writing. No one is exactly sure how you get things done in life, and that includes you! You just figure it all out somehow. You like to stay busy, and you're often juggling a few balls in the air at once. But you are never all work and no play. You are the type of person who has a good time getting things done. If it feels like work to you, you probably won't do it. Sometimes you wonder if you should be more disciplined, but in reality, you get as much done as those who lay down the law! You are well balanced and good at taking charge. You have good judgment. Sometimes you take on too many projects at once. You get stressed out rather easily. A while ago, I was looking on the Goodreads lists for "books that inspired you to write" and found this list: The Books That Turned You Into a Writer. It asks, "What are the books that made you think, 'I want to do that. I want to write something that makes people feel the way this book made me feel'?" Was/were there any book(s) that made you become a writer? As you may have seen on my blog, I got serious about writing a memoir after reading Prozac Nation. But reading books as a child made me write stories then (don't have any of them now). I'm not sure, however, what books specifically influenced then, though I know I read the Little House series numerous times. This may have been one of my early influences. I voted for Prozac Nation on the Goodreads list above, and saw that I read six other books on the list, including the Hunger Games and Twilight series. I have no clue, however how to write a vampire love story or a dystopian tale. I'm heavy into romance novels and mysteries, but have no clue who to begin either of these. This morning on Twitter I saw a link to Amanda Fleet's blogpost with the title above. I left a comment on her blog and Tweeted to her about it. In her post, the author talks about needing to write things out before typing them on a computer. I've also been that way. I've always had to write stuff out before tying it. And I was that way even before I ever had a computer years ago. This is currently what I am doing: keeping my chapter notes on filler paper in a binder. What is my reason, you may be asking? Well, one is what I said above. It just seems to be a long-time habit. Also, I can do it in bed if I get inspired then rather than during the day. It varies when I get the ideas to write. Another is a problem I've been having with my printer for some time now. Every time I try it doesn't seem to work and I still don't know what to do. I also have an old computer and don't foresee being able to afford a new one in the near future. So this is just a temporary set up for getting my thoughts down in hopes of being able to type them out for others to read. I have copied some of the chapter so my mom can read (she still hasn't been able to). I mentioned all this in this post from last month. The image above came from this link that asks whether you should keep a paper or digital journal and lists the advantage of each. How do you keep your writing journal? Those of you who live in parts of the country that observe Daylight Saving Time, do you dread it or look forward to it? I usually can't wait, since it means staying light until 8PM. Some people I know, however, dread it since it means getting up in the dark for some people. And many dread it because it causes many people to lose sleep. Given my present schedule getting up in the dark hasn't been too hard recently. In the past, however, I hated being up early, mainly when I had jobs I hated. One case in point was working at a restaurant which the original owner had sold to an awfully mean man whom I could not stand. This was back at the beginning of the millennium, something I recalled in writing my story. But currently I am working somewhere I love, making early rising easier. I went to a play last night and arrived home after 10PM, and proceeded to set my clocks ahead. Remember "Spring Ahead." I had to turn my phone off for it it to reset, a fact I had forgotten during the last time change. I once had a VCR that set back automatically during the time changes. I got in when I was in college and after the time change in April that year I overheard someone on the transit bus saying that a lot of people had probably forgotten to set back the clocks on their VCRs. So I told her about mine setting back by itself. I kept it well after college, before getting a DVD player in 2002. That same year, when Daylight Saving Time began, I woke up and saw the VCR clock said 1:57AM. I stayed awake long enough to watch the clock fast forward to 3AM. Quiz: What is Your Blogging Personality? Your blog is your stage - with your visitors your adoring fans. At least, that's how you write with your witty one liners. You're likely to have an anonymous blog - or turn off comments. If you want to practice writing stories, here is an exercise you might want to try. I used this in my class yesterday. The results were quite fun. We had enough time for all participants to do it three times each. Try this if you are in the mood to write. This can be quite fun. Write as much as you can, it doesn't have to be very long. You can do more later, if you wish. Here is a sample of the words I wrote down to use in class (I had each participant draw six each time). I made sure I had some adjectives, adverbs, proper names and place names as well as nouns and verbs. Can you make something out of these words? Coincidentally, as I began preparing for my lesson last week, I looked up this idea and came a upon this page, which is a generator for such a writing idea. I knew I was going to get new doctor at mental health, but this one did it through a TV screen, through videoconferencing. It's called telepsychiatry, a form of telemedicine. I'd heard about this concept once, but never knew of any instances till now. Once again, I'm getting anxious to see who the new doctor will be and have over a month to wait. Has anyone else ever experienced any sort of telemedecine? What Makes You Read a Memoir? Amid all this talk I've done about possibly making my story a memoir, I coincidentally saw this article on Book Riot this morning. How do I answer that? It depends on my mood when I am looking for books to read. If the book (regardless of genre) seems interesting to me I'll choose to read it then or at some point (I don't always pick it when I see it). This being the case, I may not have given much thought to the fact a book I've read is a memoir in most cases. In the case of Prozac Nation, as you can see from previous posts, it was to see how I identified with the author's story being on the medication myself. And as you can see from other posts, it made me begin to tell my own story. And in one instance, it was a memoir written from a local business owner in my home town. As a life-long resident of my town and frequent patron of the bar she owns, I just had to have a copy of this book to read. If you have have not read it, I highly recommend doing so. Even if you don't know about Hollister, California, you can learn a lot about it from this book. My boss, however, mentioned to me the other day that no one would really want to read a memoir by a “non-famous person.” This stumped me, because was someone like Mary Karr “famous” before her memoirs? How are we defining fame? Snooki? Patti Smith? Oprah? I think he meant to really ask why does someone choose to read memoir? Which got me thinking – when I go to the bookstore and browse the memoirs, I don’t search for well-known stars. I’ll go up and down the shelves, scanning the titles for anything that catches my eye, pull off any book with a colorful cover that grabs my attention; that sort of thing. This is basically what I said above. How famous was Elizabeth Wurtzel before writing Prozac Nation? 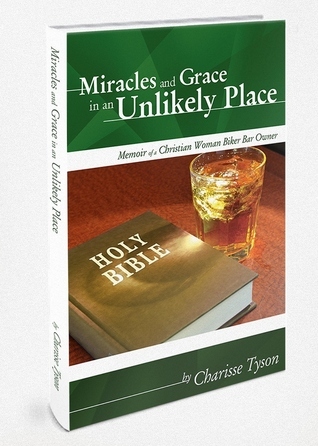 And the author of Miracles and Grace in an Unlikely Place was likely not known by anyone outside of Hollister until her book was published. If you think it takes writing a memoir for your first book, then you should do it. Memoirs aren't just the domain of famous people. I'm really working on my writing, but only had a few people to read what I have done so far. My boss has been reading it. As I write another section, I bring to the center where I am working to let her see. I've copied the first of my chapters so my mom can read it (she hasn't as of yet). But I'd like to hear from others, particularly local writers. I know of one, a bar owner who has written a memoir. Where I come from, there isn't a lot to do.including groups on Meetup.com. I'm currently in a women's book club through that site, but there are very few Meetup others groups in my town. I'd start one myself, but can't afford the $20-per-month fee. 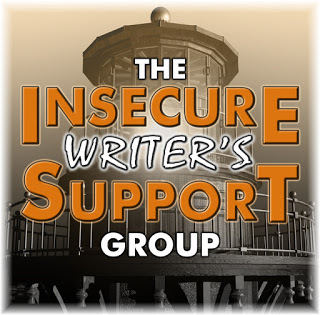 On her blog each month, Stephanie Faris (who has been commenting on my blog often) has mentioned the Insecure Writers Support Group. Sounds like fun, but I want some interpersonal connection as well. Has anyone else ever joined this site? If so, how is it?